Wecooker provides a more modern, convenient twist to friends and family gathering around table for four to bar-b-que their meal. It has a built-in battery operated fan, fan speed is adjustable. You can use the grill in minutes.Charcoal burns inside a closed mesh container avoiding the food drop into. Cold Rolled Plate provides heatproof function to protect you from scalding, more safe for your family or friends.The Portable Charcoal Grill is made from heavy-duty steel and powder coated to increase its durability. With Enameled Cast Iron Round Plate, will give a wonderful sear to your food. Perfect for outdoor activities. Camping, backpacking, picnics, tailgate parties, camping, trailers, parks, gardens and grilling even in a small spaces Great for grilling steaks, sausages, hot dogs, chicken wings, ribs, lamb, corn, potato, fish etc. With Storage bag for easy carrying. We also offer Kamado Grill, Spit Roaster, Kettle Charcoal Grill etc. Fan use 4pcs AA battery, also can be driven by power bank;USB Cable included. Looking for ideal Round Portable Charcoal BBQ Grill Manufacturer & supplier ? We have a wide selection at great prices to help you get creative. All the Portable Picnic BBQ Grill Oven are quality guaranteed. 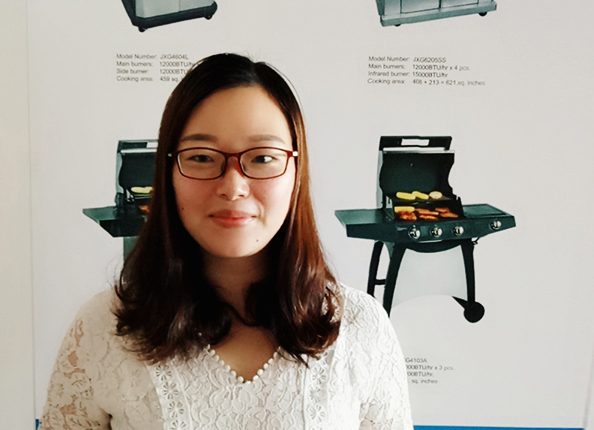 We are China Origin Factory of Smoke-free Grilling BBQ. If you have any question, please feel free to contact us.